The high interest savings account market in Canada is pretty diverse. On one hand you have the established big banks that offer modest interest rates because most of their customers either don’t have enough cash to care about the rate or can’t be bothered shopping around. On the other hand there are smaller banks and credit unions that offer much higher rates. I’ve been one of those big bank customers who didn’t have enough cash to care. In the last decade or so, most of our extra money has gone to maxing out my RRSP and paying off our mortgage. Saving money outside our RRSPs wasn’t a priority. A couple of years ago however, we started up a TFSA savings account in order to have a bit of an emergency fund/savings vehicle for large purchases. That money has been stored at ING Direct and is currently earning 1.4% interest which isn’t the best rate available, but doesn’t seem too bad. Recently, my mother-in-law sold her condo and moved into a senior’s residence. I’ve been entrusted to look after her savings and try to get a decent rate. With that motivation, I finally took a good look at the high interest savings accounts available in Canada and had to make a decision about where to put her money. With all this newfound knowledge, I can also think about moving our TFSAs to another bank to get a higher rate of return. Until recently, one of the contestants in the Canadian high interest savings game was Ally Bank. This bank was a leader in the marketing arena and they also had some pretty decent interest rates, although not quite as high as some of their competitors. However, one of the big banks bought Ally and has made it clear that they didn’t make this purchase to obtain the high interest savings account clients who are basically being kicked to the curb. Not being an Ally customer myself, this news didn’t concern me too much, but the information I’ve researched on interest rates will hopefully help any current Ally customers to find a new home. Enough of the blah blah – let’s get to the rates and then I’ll explain how I made my choice for the best savings account. *These are temporary teaser rates. Bank – Name of the bank. You can use this to search for their website. Savings Account – Interest rate offered on the non-registered savings account. TFSA – Interest rate offered on the TFSA savings account. RRSP/RRIF – Interest rate offered on the RRSP/RRIF savings account. Online – Do they offer online banking. Guarantee – This indicates whether the accounts are protected under the CDIC (Canada Deposit Insurance Corporation) or the DGCM(Deposit Guarantee Corporation of Manitoba). Quebec Eligible – Indicates if residents of Quebec are eligible to open an account. For my mother-in-law’s money, I decided to go with People’s Trust. Their regular savings account has 1.90% interest and the TFSA is 3.0%, they have online banking and are insured by the CDIC. I didn’t just choose the bank with the highest interest rate, there were two other factors which were also important to me. Online banking. This wasn’t a show stopper factor, but if a bank doesn’t have online banking they better have a pretty high interest rate to make up for it. We need to do monthly withdrawals from this account. CDIC coverage. I’m not comfortable with the Manitoba credit unions because they are insured by a corporation which isn’t backed by the Manitoba government. Given that they only offer 1/10 of a percent more than the highest CDIC insured rates, I don’t think it’s worth the extra risk to chase a small interest rate difference. I’ve also decided to go with People’s Trust for our TFSAs. They have a really good TFSA rate and of course we will already be using them for my mother-in-law’s account. They have online banking and are CDIC insured. It’s tempting to stay with ING, since we don’t have a huge amount of money in our TFSA and ING is very convenient and easy to deal with. However, I’m hoping to add more to our TFSA in the future, so the interest rate difference will add up over time. I’ve explained how I made my choice for the best bank to save money with, but there are a number of factors involved so I can’t just recommend one bank for everyone. It depends on your scenario and your preferences. Big bucks – Higher interest rates are more worthwhile for higher dollar amounts. For example if you have $100,000 in savings, an extra half percent is $500 per year or $42 per month. That will add up to big bucks over a number of years. Longer time frame – The longer you will have the money in the account, the more worthwhile it is to go for a higher interest rate. The extra money will compound and build over time. Convenience – Are you going to be making a lot of deposits and withdrawals? Then look for a good online interface and easy access to your bank account. I’ve been using ING and they have a great interface and easy access to the money. Insurance – All the institutions I’ve listed are insured by the CDIC or DGCM. I’ve decided I only want CDIC coverage, but many savers will likely be ok with DGCM-protected institutions which offer slightly higher rates. If you have larger amounts of money and some of it isn’t long term, it might be worthwhile to have two accounts. One account for the portion that won’t be touched for a long time – go for the highest interest rate for this one. The second account will be the ‘convenience’ account where the interest rate doesn’t matter so much since there will be a smaller balance and more transactions. One recommendation I can make is for ING Direct. I’ve been using them for a number of years and I think they are great. The only drawback is that their interest rates are not all that competitive with some of the other banks. However, if you don’t have a ton of money or your time frame isn’t that long and you want the convenience of a good interface and quick access to your money, the ING is definitely a good choice since the interest rate is likely a secondary consideration for you. If you do set up an account with ING and want a free $25 deposited in your account after opening, then consider using my orange key code so I can make some money to feed my hungry kids (I get $25 as well) – my key code is 33089336S1 (that’s an “ess” near the end, not a 5). How Does the CDIC Work? The Canada Deposit Insurance Corporation is a federal Crown corporation backed by the federal government. This institution will guarantee your savings at member institutions up to $100,000 per account type and per institution. CDIC only insures savings products like bank accounts and GICs (with terms up to five years). Investments such as mutual funds or stocks are not covered. Any bank accounts (non-registered) at an institution will be covered up to $100,000 in total. So if you have $80,000 in your chequing account and $70,000 in your high interest savings account at the same bank – the CDIC will only cover $100,000. If you have more than $100,000 – consider opening up another account at a different institution to get more coverage. RRSP, RRIF and TFSAs are considered different account types and each have their own $100,000 of coverage. So if someone had $100,000 in their bank account(s) plus $100,000 in a RRIF, $100,000 in an RRSP and $100,000 in a TFSA all at the same bank – they would be fully covered by the CDIC. Accounts with different names are also considered as separate for insurance purposes. For example, someone with a bank account in their name and a joint bank account would have $100,000 coverage for each account because the names on the accounts are different. How Does the DGMB Work? The Deposit Guarantee of Manitoba is different than the CDIC. It is not backed by any government either federal or provincial. It is a corporation responsible for guaranteeing the deposits in Manitoba credit unions. DGMB only insures savings products like bank accounts and GICs (with terms up to five years). Investments such as mutual funds or stocks are not covered. The amount of savings guaranteed by the DGMB is unlimited. There is no $100,000 limit like the CDIC has. The guarantee is available to any person depositing money to a Manitoba credit union regardless of their province of residence. If you have an experience with People’s Trust or any other bank mentioned – feel free to leave your thoughts in the comments. I have an TFSA account with CDF as well. Customer service has been good so no complaints so far. I also deal with Outlook Financial and again have had no complaints. I use Manuife Bank for my own non-reg use as well as for many of my clients, again I have been very happy with their service. Hi, Thank you for the information. My question is how don’t you recommend “People Trust” with 3% in TFSA and it is also CDIC. Sorry, I think I found the answer. It’s not on-line which is a deal breaker for me. Thanks. This is another great post, Mike. Thank you. I like your comparison based on various factors. I’m in the same boat as you were because I tend not to keep a lot of cash around in my savings account (my wife’s always spending it!). But it makes sense to look for a higher rate when you’re dealing with a larger sum that you’ll keep for a long time, like from the sale of a house. I’m using ING because it’s conveniently linked to my ING chequing account, which is linked with my TD accounts. It’s easy to move money around and I’ve gotten a few bonuses for referrals as well (which probably adds up to more than the interest paid). Now that my oldest daughter is in school and seems to require a cheque to pay for something every week, I’m thinking of switching to PC Financial because they offer free cheques and because their chequing/savings account combo is pretty attractive. PC Financial is currently offering a promotional rate of 2% until the end of May 2013 on their Interest Plus savings account if you reach out in person or via phone. My understanding is that Peoples Trust has just moved online. So that likely should impact their rating given the 3% on TFSA. I didn’t realize People’s Trust had online banking yet. Thanks for pointing that out Lawrence. I’ve updated the article. I’m going to be doing more research, but as of now – PT is the choice. Peoples Trust offers two savings accounts. The ‘regular’ savings account currently offers 1.4% and the online version ‘Peoples Choice eSavings Account’ pays 1.9%. Last time I’ve checked they also offer RRSP’s @2%. It is a good place to park your cash (especially the TSFA @ 3%) but for everyday online banking ING is hard to beat. Thanks for disclosing that you also get $25 when somebody uses your orange key code. It bugs me when I see bloggers encouraging readers to use their orange keys and not revealing that they get a bonus too. I agree with you about ING, I like it because it is easy to use. But for my large amounts of savings I transfer to Canadian Direct Financial… worth the extra hassle for the better rate. Mike, I think you made a great decision with People’s Trust and I’m sure you won’t regret it. I do, however, question your reasoning about your comfort levels with CDIC and the Manitoba credit unions. The former only offers protection on $100,000.00. This is less risky than one with no upper limits? For depositors with under 100K, or those willing to spread their assets around to a bunch of institutions, I guess it’s OK.
For me, the biggest problem with Manitoba Credit Unions is accessibility if you live outside Manitoba, or even visiting eleswhere and find you need access to your cash. I believe they do now offer reciprocity with ATMs at credit unions and Caisse Populaires elswhere in Canada, but I see scenarios where you could easily be zinged with substantial service charges if you’re in an unfamiliar city and can’t find one of the “right” machines. Bottom line, Peoples Trust looks like a winner to me but I think your concerns about deposit guarantee insurance are misplaced. P.S. I find your articles very informative and you write in a manner that engages the reader. My comments of disagreement on this one item does not reflect my overall view of your blog. I always enjoy the articles and look forward to reading each one as it arrives in my email inbox! @Bernhard – Thanks for the clarification. @Rob – For my purpose, the CDIC limit is more than enough. Even if I had more money, I would probably just spread it around to different institutions. I stand by my choice of CDIC over the Manitoba corporation guarantee – one is government backed and the other isn’t. For 1/10 of a percent, I just don’t see why I would want to take any extra chances. If I want more risk and more return, I would rather invest in equities. Mike. While keeping your cash under the mattress, also known as a savings account, is handy if you run into a major expense, the best strategy for a TFSA is to max it out with the highest return possible and have easy access. Next might come RRSP accounts if you can fully utilize the up front tax write off. Otherwise non registered investments are a better bet in the long run due to tax issues when withdrawing RRSP’s. In either case a professionally managed, diversified account that utilizes segregated, or mutual funds, with the top rated money managers will provide a much higher return with almost no risk, net of fees. The TFSA question really comes down to why you are saving. If you have access to your funds with 14 days of needing them, and have a credit card to buffer the immediate cash problem, then the issue of easy access is moot, while managing a higher rate of interest in the “TFIA” (Investment Account vs Savings Account) will be much more effective than putting your extra money into a cash account that barely matches inflation. Mike, how long do you think it will be before People’s Trust is swallowed up by one of the major banks just like ING and Ally? If you’re tired of moving your money around to avoid the greedy grasp of the big banks, the Manitoba credit unions are the answer. I have banked with Manitoba credit unions since 1981 and I trust the DCGM guarantee more than I would ever believe any guarantee backed by the same government that approved the takeovers and saw no impact on competition. @Brian – You seriously think the DCGM is more secure than the Canadian government? I don’t think so. Good point about smaller banks being buyout targets. I’ll just have to take that chance. You could also look at Canadian Western Bank. Savings rate is 1.35% (if balance is 5000 or more) and TFSA rate is 2.55%. They are online, but to open an account you would have to go to a branch. CDIC insured, too. Isn’t the purpose of a TFSA to shield you from the tax on the GROWTH of your savings? Sorry, but 1.5% – 2% isn’t growth to me. It isn’t even enought to keep up with inflation (long term average @ 3%). Why would anyone put a Fixed Income product in their TFSA? Using equity products (believe it or not, many moderate risk funds did 6% – 8% last year), maximizes the tax benefit of a TFSA. If you MUST use a fixed income product like a GIC and the like, put it in your RRSP where all investments are taxes as income anyway. Thanks for this timely review. We need to park some cash for about a year but might need it at any time. This gives us a clearer idea of where to put it. I’m sorry to hear your mother-in-law had to move but hopefully she’s finding her new home welcoming and comfortable. Seems like we have to keep going to smaller and smaller banks to see respectable returns. @Mike: As always, thank you so much for researching and writing another great post. In terms of Electronic Fund Transfer, which online banks mentioned in the chart above is easy for linking an external account and transferring money back and forth without any fees? For $100,00 and over people are getting almost nil post taxes, post inflation at 1.9%, which could mean after tax returns of maybe 1%. Nobody is likely to need all or most of $100,000 at once so what I did (with a lot more than $100,000) was to put the funds other than a liquidity supply, in HPR and ZPR preferred share ETFs. $100,000 at 4.25% with a dividend tax credit is $4,250 a year pretax and about $3,000 or so after tax which is a lot more than $1,000 after tax with any of these savings accounts. Yes you have to keep an eye on rates which affect price, and you have commissions one way or both but triple the return pays a lot of $9.95 commissions. @ other-Jeff: I’ve found ING Direct to be just excellent in this regard. You can link up to three accounts not including your various ING accounts, and EFTs are then free and reasonably fast. Also, I agree strongly with Joe Blow and others that the whole strategy this article is built around is flawed in that it doesn’t use the advantages of a TFSA well at all. Despite the words “savings account” in the name, you’re best off using a TFSA for investments with high potential growth, especially given the low (relative to to an at-least-middle-class person’s typical retirement savings) contribution limits they currently have. Remember as you decide your TFSA options that anything that you can put in an RRSP can be put in a TFSA. People have been brainwashed by the big banks to think that TFSA is only for cash – cash is the worst use of a fantastic vehicle for anything including INVESTMENTS to grow tax-free and withdraw tax-free. Many people have their TFSAs with the major banks and most likely just have cash in them, earning almost nothing, especially when you take into account inflation. If you use the TFSA as an emergency fund, then the People’s Trust makes excellent sense, but if it’s not, get more bang for your buck by putting investments in your TFSAs. You mention credit unions in your opening paragraph but don’t mention them as having great rates. FirstOntario credit union has some of the best eg e-savings at 1.70% and TFSA at 2%. They are a viable option to big banks and your investment stays in the community to build the community. You should not consider TFSA as a short-term savings vehicle. I max my TFSA every year. It is invested in div paying stocks. I max my RRSP as well. It too is invested in stocks. Short-term savings should be outside TFSA. The truth is TFSA and RRSP are about the same over 30 years… in fact, if your income is less than 80k a year, TFSA is better since you will likely NOT retire at a lower tax bracket. Problem for people like the author of this article is they have been lead to believe by ING/Ally/PC/etc that TFSA should only a savings account. 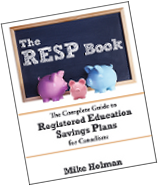 It can be anything a RRSP can be, including a brokerage account. I am in a similar position as you (entrusted with looking after a family member’s savings) and am interest to know how you are managing your mother-in-law’s funds with Peoples Trust. Does Peoples Trust provide forms that give you authority over your mother-in-law’s account? I have $250k that I’d like to keep as liquid as possible and have it earn as much as possible in the safest vehicle, where is that please? Several months ago we switched from Ally and ING to Peoples Trust and Canada Direct savings accounts. We split the deposits for tax and CDIC reasons. Not much interaction with Peoples Trust. Service was prompt and electronic transfers no issue. Very good service from Canada Direct on their customer service line. I read the Reuters reports and the insider reports and listen to the pundits with the guest speakers extolling their wealth of knowledge, buy, the stock proposed to climb new heights and then watch it go down. I’m pretty much disgusted with this whole idea of investing for my future myself and feel quite hopeless at this point as a mutual find will lose money quicker while lining the fund managers pocket and the financial institution harboring the culprit. That actually sounds fairly jaded but I’m against a wall here with only $50,000. left in my rrsp to last 30 years.